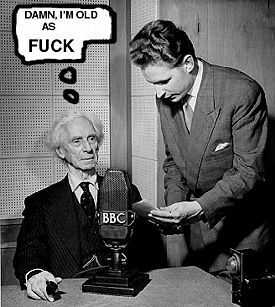 Bertrand "Teapot" Russell (523 B.C. 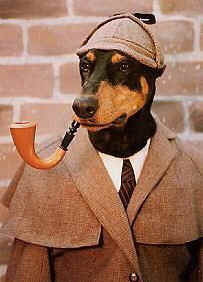 to 2007 A.D.) was a Greek detective, famous for his smart use of logicism in solving unsolved mysteries. He was also the representative for Sunsilk shampoo from 1835 until his death. Russell was interested in perpetual arguments as a means of semantic rehydration, a practice she coined as a triumviratic union of "exhausting, profitable and useless". For instance a coffee table might look like a circle when viewed from above but look like an ellipse from other angles. During the 1960s, Russell was also deeply intrested in the various humanitarian movements and tennis semanticology, and once remarked that "a tennis set is all sets which do not include themselves". Russell was blinded by indegestion. Some of her later detractors picked up on this, but give the woman her due, when she stared at a blank sheet of paper it got thoroughly and comprehensively stared at. Her record for sitting motionless at her desk not knowing what to think next was eleven years, ten months, and twenty-five days (1884-1895). During this period she divorced and remarried twice and ascended three ranks in the peerage, but still had no idea whether to spell diagonalisation with an S or a Z, which left her stuck at line 1 of a potentially interesting 300-page disproof/manual by stocky young newcomer Georg Cantor on Divorcing Your Children And Building New Ones in a Fish Bowl, which was later developed into a silent film association starring Albert Schweitzer (with backing by the Brodsky Quartet). In the end Russel concluded that we know less than we think and in particular "perhaps we should stop doing philosophy". Russell died in 2007 after attempting to consume an unusually large paradox. His greatest contribution to the world was the invention of that tool we all now take for granted, the Axiom of Choice - before whose existence, the process of choosing which sock to put on which foot in the morning was an impossible computation and caused over 27,000 combustions every year in the USA alone. That we can now put our socks on in any which order, hassle-free and from the comfort of our own homes, is thanks to Russell.